One day ago, Google officially launched together with Samsung a new Nexus 10 tablet with amazing specs, through which is the Exynos 5 chipset with 2 Cortex-A15 cores at 1.7 GHz and Mali-604 GPU. The original rumor was that Samsung Galaxy S IV will come with Exynos 5450 but with a quad-core A15 CPU overcloked at 2 GHz with a Mali-658 GPU, astonishing specs. This means that the rumors are actually somewhere beyond expectations, but with the Nexus 10 holding the Exynos 5, they are still believable Comparing the results obtained from the 604 GPU we should say that 658 will be a killer, with quad-core technology. Now here’s the catch. Knowing that the chipset and GPU are so powerful, imagine what that would do to a battery. The Galaxy Note 2 has a 3100 mAh battery, one of the biggest, and that would still be easily drained by the power of the chipset. We are still waiting for benchmark results from the CPU. 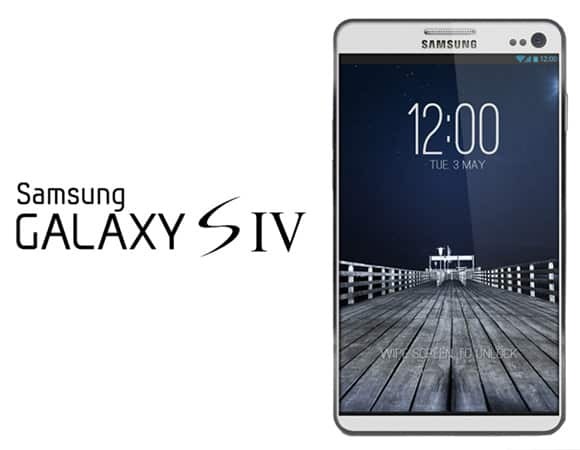 Meanwhile, we can say that if the rumors do come true, and usually rumors do, I can’t wait to put my hands on the next generation Galaxy S4 device. It would be like holding a piece of gold. Imagine that speed, how fast do you think processors can get huh?